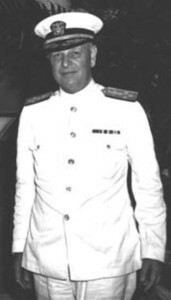 As navy CINCPAC (Commander in Charge of the Pacific) at the outbreak of World War II, Admiral Kimmel, with his army counterpart, General Walter C. Short, took most of the blame for America’s unpreparedness to resist the Japanese attack on Pearl Harbor. Unlike Short, he was never officially blamed for Pearl Harbor, but the catastrophe ended his career. Retiring from the navy, he worked for an engineering firm, then published Admiral Kimmel’s Story, an attempt to clear his name.